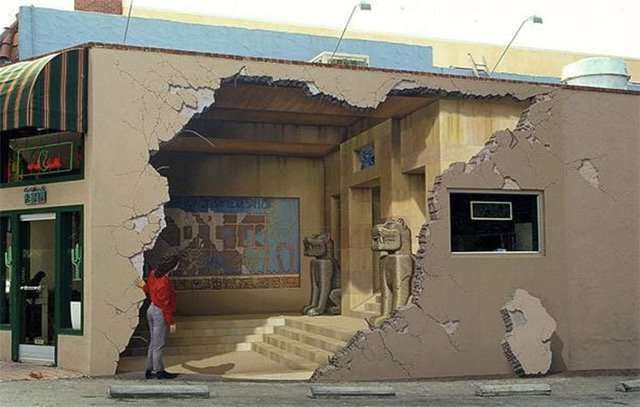 You may have experienced something like this: You walk into a restaurant that is housed in a building with solid walls all around. But as you pan the room you see a view of a beautiful footbridge across a very picturesque river with delightful gardens on either side. You know it can’t be real, but for a very long moment you are sure you are looking at the sunny outdoors, despite the fact that it’s 9 PM and it’s dark outside! 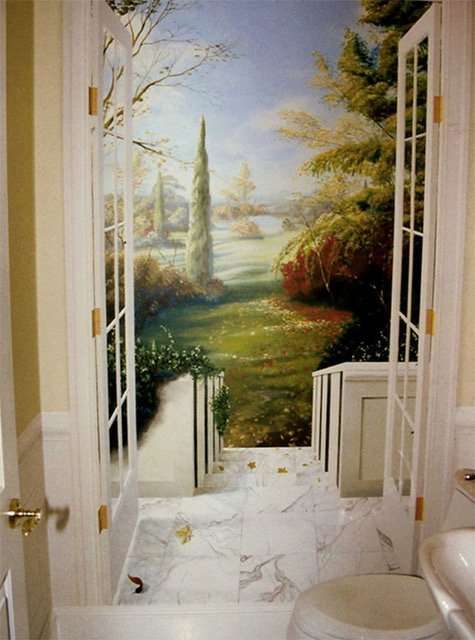 It would be quite understandable if you feared for your privacy, but in fact, everything above the baseboard in this image is painted on a solid wall. Fun, right? The painting technique used in these images is called trompe l’oeil (pronounced trawmp loy) which translates from the French to “tricks the eye” or “deceives the eye” and is frequently used to disguise an undesirable architectural detail or add depth (and interest!) to a small and otherwise unadorned space. Modern artists have perfected this technique to create very realistic images. But believe it or not, the technique actually began centuries ago and was used by book artists during the Renaissance. 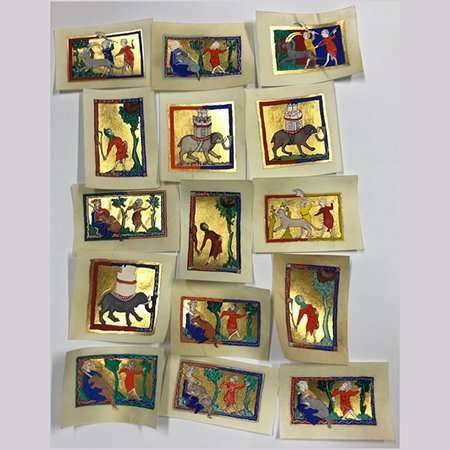 In these manuscripts we often see images from nature, such as insects and plants. 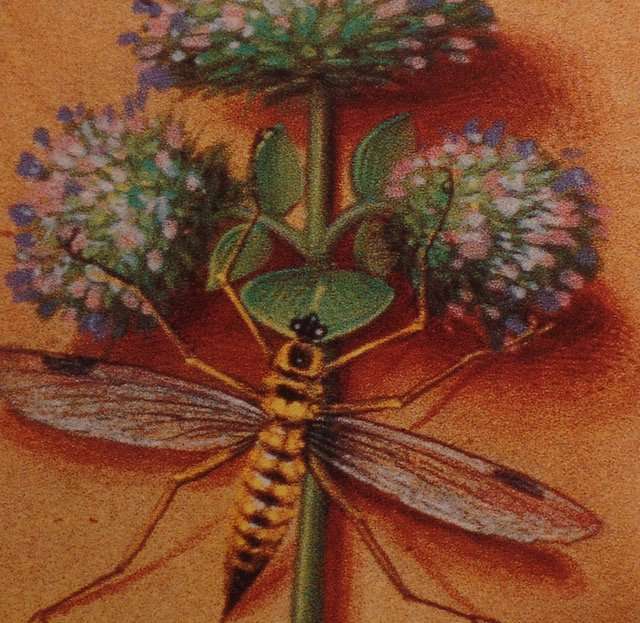 Take a look at this lovely image, a detail of a larger painting of an insect depicted with wild marjoram in The Book of Hours of Anne of Brittany. 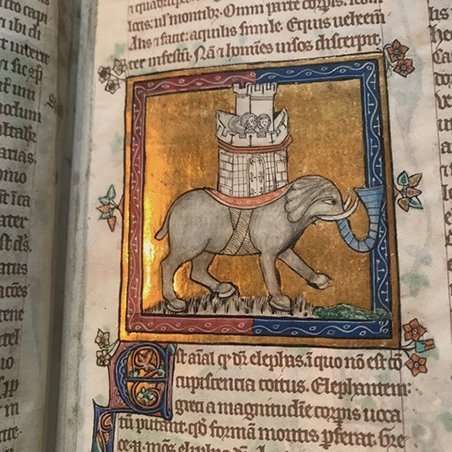 The book was created circa 1505. 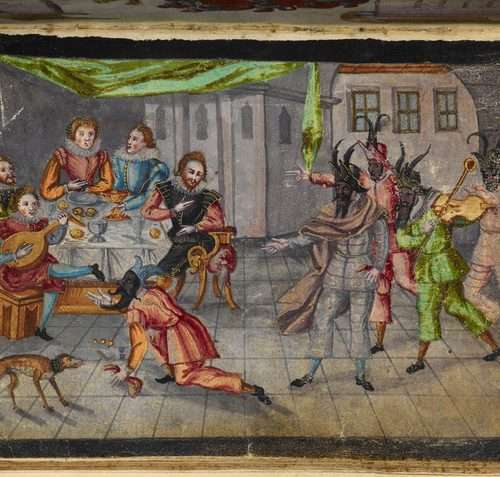 We see examples like this frequently in illuminated manuscripts. Following is one of my favorites. 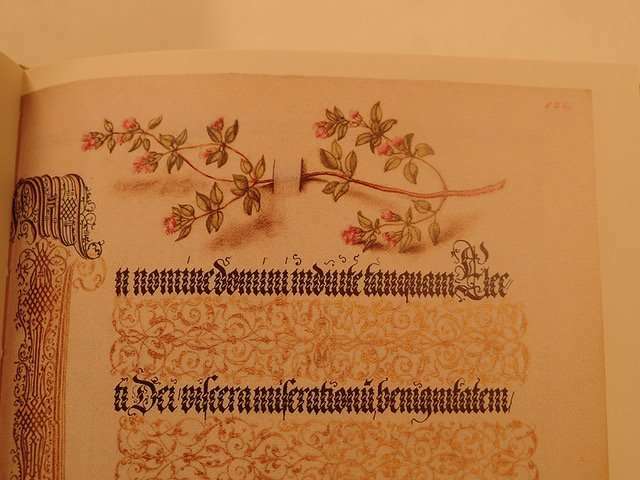 It’s an image of an herb known as basil thyme, and it is from a 16th-century calligraphic manuscript illuminated by Joris Hoefnagel (1542-1601) (the calligrapher was Georg Bocskay d. 1575). 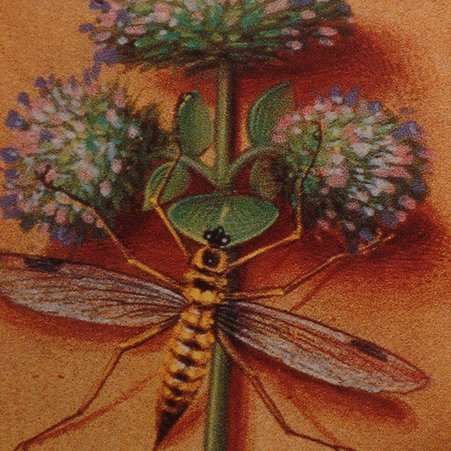 The herb is skillfully painted with shadowing that tricks your eye into believing the vellum was cut to allow the stem of the thyme to weave below and then back on top of the vellum. 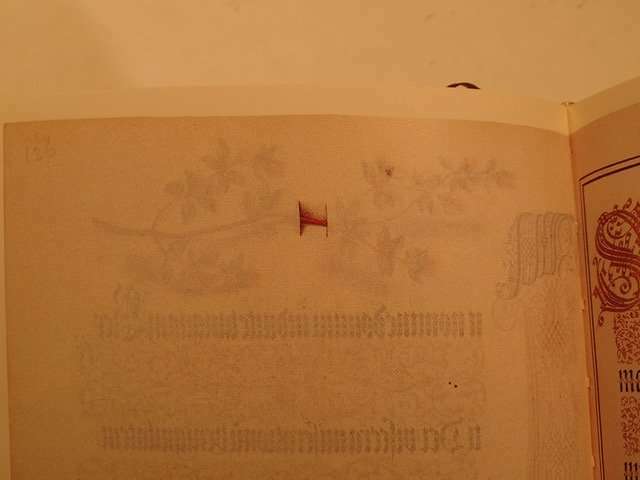 And when we turn the page, we find the artist has rendered the verso of the folio to convince the reader that the stem truly does weave between the vellum. 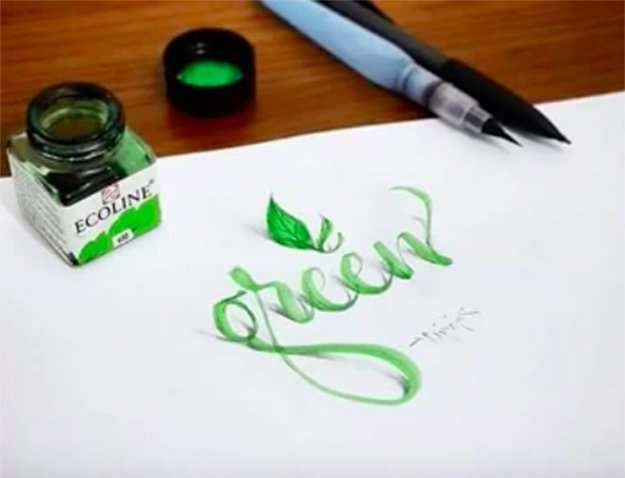 Some very talented modern-day calligraphers have taken this technique even further and incorporated the trompe l’oeil treatment into the actual lettering! Trompe-l’oeil, a visual art technique that tricks the eye by creating an optical illusion, came into fashion as realistic illusionary portraits gained popularity among h century French court and social elites.